Check Out What's Going on in the Cambodia Energy Abyss and Climate Change Nightmare While the Whole World Complains, Talks, and Does Absolutely Nothing To Support The Small Private Innovators Of Change With All The Solutions to the world's problems for the future of energy. Due to limited time and resources being a Startup, our website is a constant work in progress. Forgive us for the mess, day by day we will post the thousands of pages of material we have on Cambodia, it's Energy industry, Startup community, and total lack of Investment community nor willingness to invest in Startups, and the resistance to change it. Green Growth is stimulating comprehensive integration of the Kingdom of Cambodia into a regional framework and the world that helps contribute maintaining political and macro-economic stablitiy, especially the economic sector, environment, society, and culture progressing simultaneously towards harmonization, sustainability and balance, as well as enhancement of green economic growth, which maintains low carbon emission moving towards a society developed based on low carbon emission serving as a greenhouse reduction measure, climate change adaptation and poverty reduction in line with the RGC's goal to reduce poverty by one percent per year. Blockchain is a decentralized software mechanism that enables a public distributed ledger system. The technology allows the tracking and recording of assets and transactions without the presence of a central trust authority such as a bank. A Trademark is a sign capable of distinguishing the goods or services produced or provided by one enterprise from those of other enterprises. 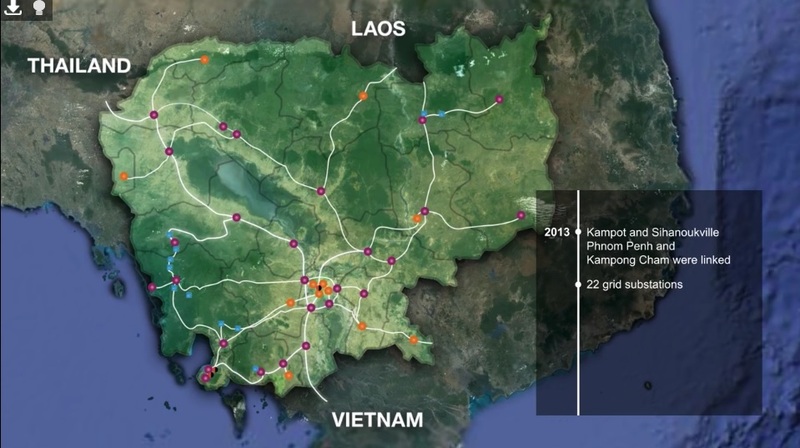 The power sector in Cambodia, with domestic generation supply of around 3000 gigawatt hours (GWh) in 2015, is small compared with its ASEAN neighbours Thailand and Vietnam, but it is growing very rapidly. ADB and the Government of Australia do not guarantee the accuracy of the data in this report and accept no responsibility for any consequence of their use. The mention of specific companies or products of manufacturers does not imply that they are endorsed or recommended by ADB or the Government of Australia in preference to others of a similar nature that are not mentioned. Cambodia has experienced rapid poverty reduction and fast economic growth accompanied by an accelerated rate of financial inclusion. Cambodia has been experiencing high economic growth during the past 5 years and this trend will continue at least to 2020, according to economic experts. In this regard, the country’s energy consumption could increase significantly. Unfortunately, no official energy statistics are available to monitor and evaluate this growth.